The TPPA was an attempted international agreement to change the rules of international trade and investment in a way that would have favoured big business and undermined the public interest. Although there were twelve countries involved in the TPPA negotiations, it was mostly driven by the United States. The TPPA was signed in February 2016, but it died a year later without ever coming into force when the United States withdrew from the agreement. In a nutshell, the countries that signed up to the TPPA agreed to either change or freeze national laws to suit the interests of overseas investors from the other TPPA countries (the US, Canada, Mexico, Japan etc). This would have meant locking in light-handed regulation, limiting restrictions on overseas investment, and making it harder for governments to respond to both the future needs of their citizens and the natural environment. New Zealand was originally involved in the TPPA in the hope of the getting better access for dairy and other agricultural products into the US market. In the end, this never happened in a meaningful way. It is anyone’s guess why the New Zealand government was then willing to sign up to such a restrictive agreement when there was barely anything in it for New Zealanders. Our sovereignty would have been eroded. 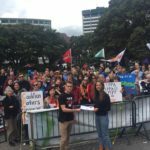 Under the TPPA overseas corporations would have had the right to directly sue the New Zealand government if new laws or regulations passed in New Zealand hurt their profits. Not only that, but these law suits would have been decided in unaccountable international tribunals rather than in national courts. The judgments of these international tribunals would be enforceable and would take precedence over our decisions of our Parliament and our courts. This process is called Investor State Dispute Settlement (ISDS). Other countries have previously signed up to ISDS in international agreements and have been forced to pay compensation to overseas companies where regulation designed to protect the environment or the public good have undermined corporate profit. Even where countries have successfully defended ISDS challenges, it has cost them tens of millions of dollars to do so and has delayed the implementation of government initiatives. A good example of this is where the Australian government was significantly delayed in introducing plain packaging of cigarettes because of an ISDS challenge by tobacco giant Phillip Morris. Further analysis on the implications of ISDS is available here. Environmental protection would have been made more difficult. Around two thirds of the 696 ISDS cases under similar agreements have challenged laws or public decisions relating to the environment (particularly mining, fracking, oil and gas production,reguation of toxic chemicals, waste dumping and renewable energy). Action on climate change would also have been hindered. Read more about the TPPA’s environmental implications in one of the peer-reviewed expert papers prepared after the release of the TPPA text: Full environment paper and summary. Medicines would have become more expensive through the undermining of PHARMAC and restrictions on the availability of generic (off-brand) medicines. Copyright laws would have been extended from 50 years to 70 years and would have been more harshly enforced, restricting internet freedom and access to information, costing libraries, schools, and businesses, and stifling innovation. Read more: Full IP and IT paper and summary. 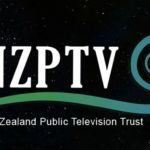 Privatisation of state assets would be effectively locked in, and the formation of new state enterprises (as we did with Kiwibank) would effectively be ruled out. Regulation of overseas corporations would have be undermined by the threat of foreign investor challenges. The threat of legal cases, and the high costs of defending cases, would make government reluctant to regulate. Local business would lose out in competition with large multinationals. The TPPA would have made it harder for governments to enact laws and policies designed support local business development and the local economy. Workers would have lost out. Economic analysis predicted that the TPPA would mean 5,000 fewer jobs in New Zealand and increased inequality. Financial stability would have been threatened. Light-handed regulations would have been locked in, and foreign banks, insurance companies and money traders would have gained new powers to challenge laws designed to prevent another financial crisis. Under the TPPA the government would not have been to tackle property speculation and the housing bubble through a ban on property speculation by non-residents. New Zealand’s main aim in the TPPA was to achieve drops in tariffs on its exports on dairy and beef, mostly to the United States. We got a bad deal, as the TPPA preserved tariffs and quotas in these sectors for years to come. 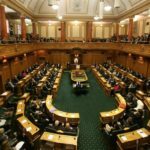 In exchange for very minor gains, the New Zealand government agreed to undermine its right to regulate in the public interest. Read more: Full paper on the economics of the TPPA. The TPPA died in February 2017. Unfortunately, the corporate interests that lay behind it are still around. There are several possibilities for how the various elements of the TPPA may re-emerge as a threat for New Zealanders in other trade agreements. The most pressing concern at the moment is the possibility of a TPPA without the United States, “TPPA-1”. New Zealand, Australia (and more recently) Japan are the loudest voices calling for this to happen. The Trade Ministers from the TPPA countries met to discuss TPPA-1 in April 2017. They are due to meet again in November. Two other agreements currently under negotiation are the Regional Comprehensive Economic Partnership (“RCEP”) and the Trade in Services Agreement (“TiSA”). Finally, the New Zealand government is currently in negotiations to expand the NZ-China FTA. Sign up below to our (semi) regular bulletins for up-to-date information on TPPA-1, TiSA and RCEP.